Nutrition is very important to the health of seniors. Self-Help for the Elderly promotes both an active and a healthy lifestyle for our seniors through many of our programs. That is why we partner with The San Francisco Department of Aging and Adult Services (DAAS) to provide seniors with a healthy dining opportunity. 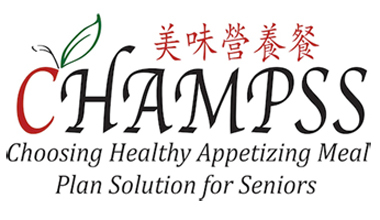 CHAMPSS is a program that provides seniors with healthy, dietician-approved meals. Adults 60 or older and their spouses are eligible to receive meals from the S & E Cafe and Prince Cooking in San Francisco. Seniors may receive meals from these restaurants during their service hours on weekdays only. Participants are able to select their meal preference and are given flexibility when they want to eat and what they want to eat. In order to qualify, participants must attend an enrollment session and are then able to register from there. The suggested donation for a CHAMPSS meal is $4 per meal. CHAMPSS was recently featured in Hyphen magazine. Click here to learn more about this program and how it’s helping seniors throughout San Francisco. Hours of Operation: 11:00 a.m. – 10:00 p.m. Hours of Operation: 11:00 a.m. – 5:00 p.m.